aloo cutlet recipe | potato cutlet | crispy alu suji cutlet with detailed photo and video recipe. 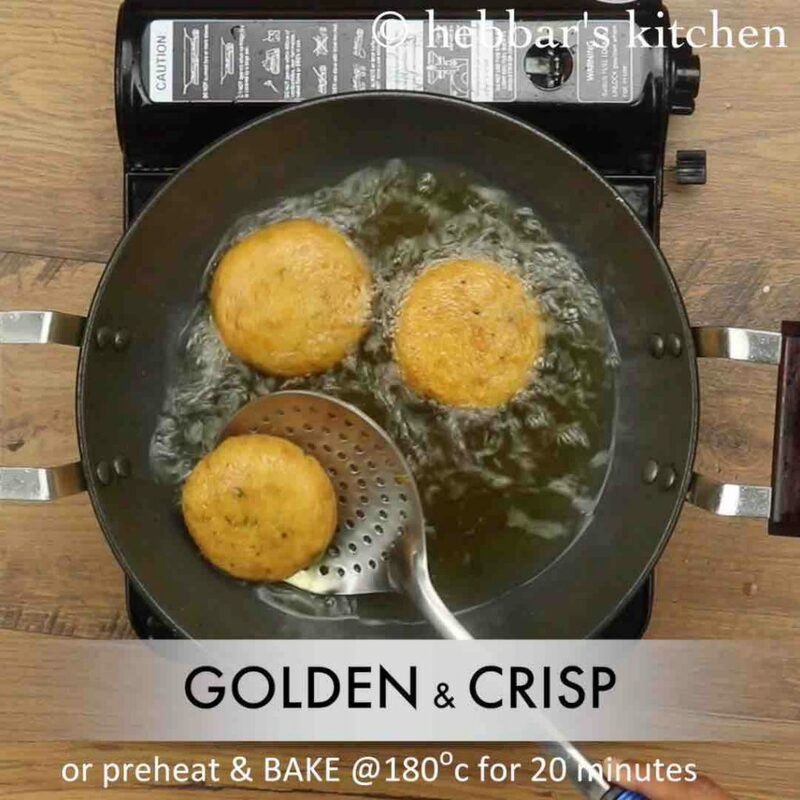 an easy and simple deep fried tea time snack, prepared with boiled potatoes and other dry spices. these cutlets are crispy with the outer layer and soft and spicy within its inner layer. 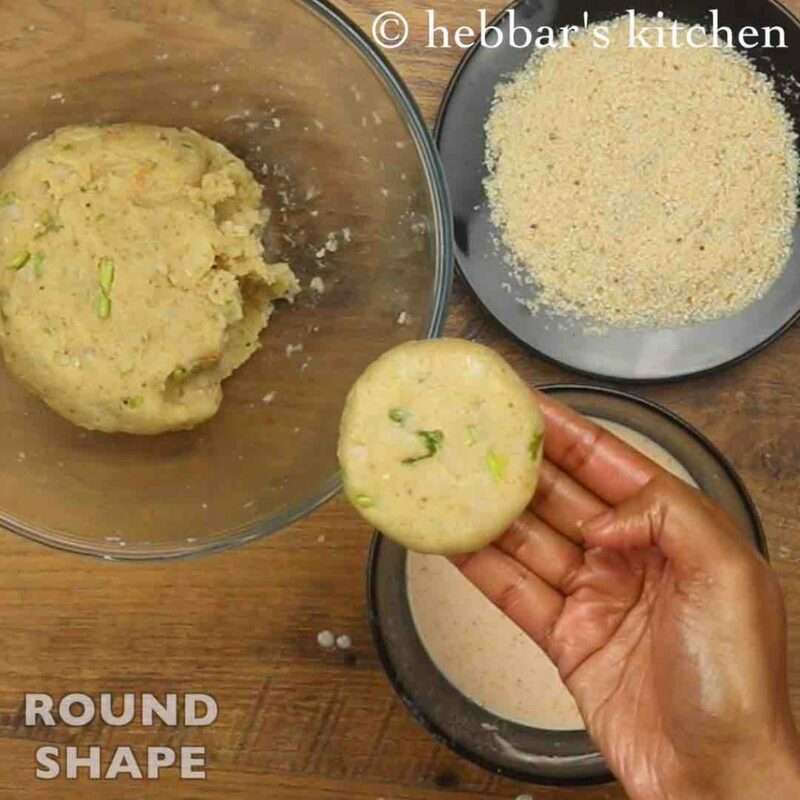 apart from consuming as a snack, it can also be used for other purposes like patties, chaats, sandwiches and even for chapathi based frankie or rolls. aloo cutlet recipe | potato cutlet | crispy alu suji cutlet with step by step photo and video recipe. cutlets are typically meat-based snack or patties usually prepared from spiced minced meat. however, for the vegetarian and non-meat eaters, the cutlet is prepared with a vegetable or combination of veggies. 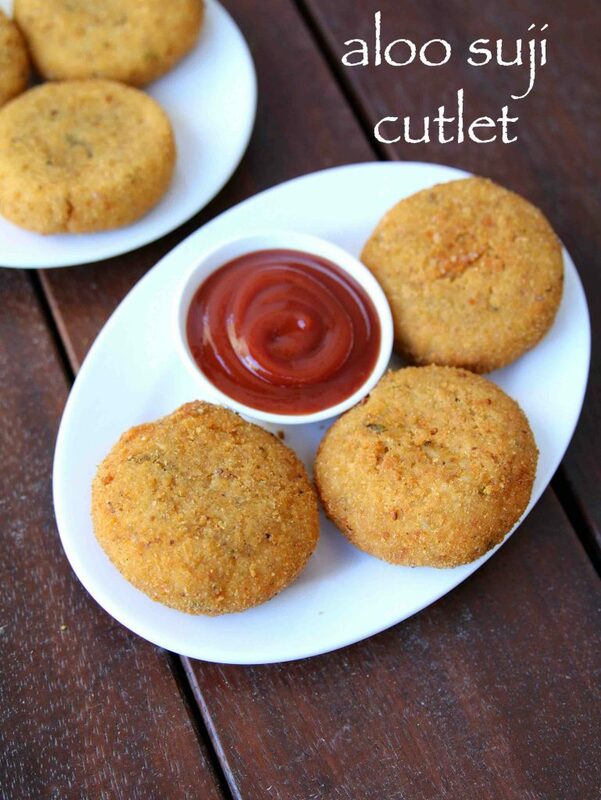 one such vegetable based cutlet recipe is aloo cutlet or also known as aloo tikki cutlet recipe. i have shared quite a few vegetables and grain-based cutlet recipe for vegetarian’s, but aloo cutlet recipe is very special. 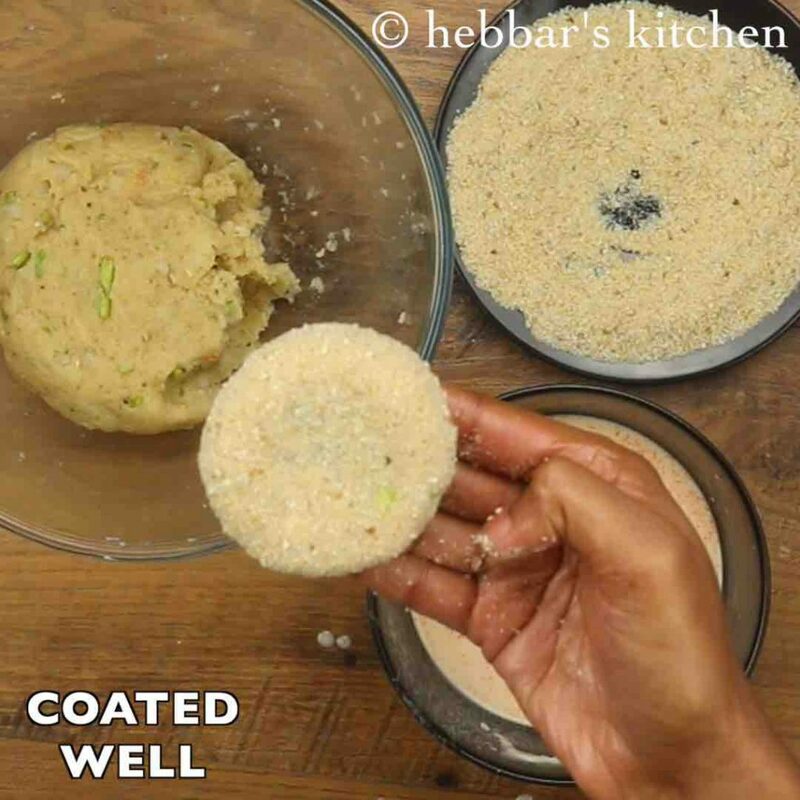 generally, most of my readers struggle while shaping the veggie based cutlet because of the moisture and starch. and hence we backfill it with mashed potatoes to absorb the moisture and to hold the shape. however, this recipe is predominantly based out of boiled potatoes and hence it should negate the shaping problem. 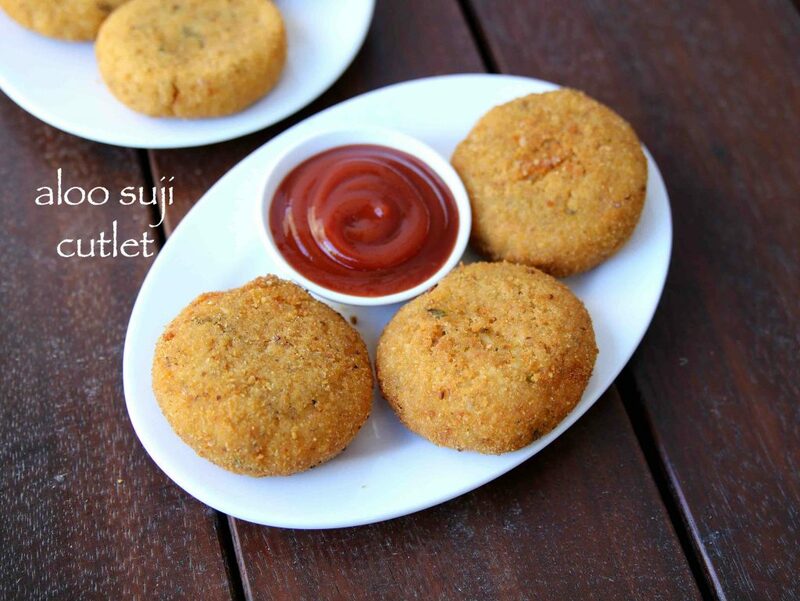 the other added advantage of potato cutlet is its usage versatility. most commonly i use it as a snack served with tomato ketchup but can also be used as patties for burger and sandwiches. in addition i even extend it by preparing a chaat recipe very similar to aloo tikki chaat recipe. 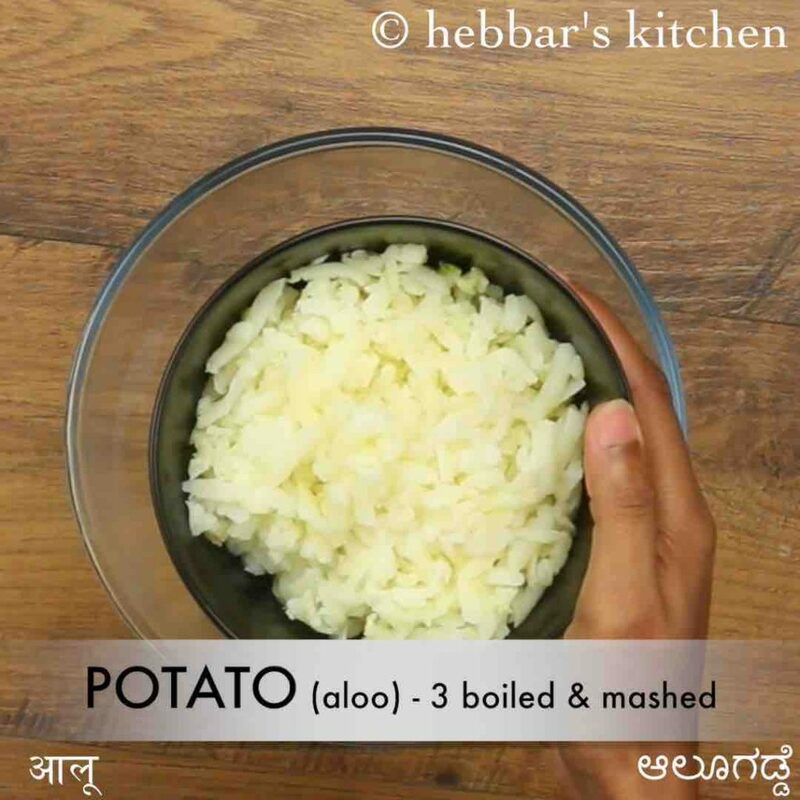 while the aloo cutlet recipe is extremely simple to prepare, yet i would like to add some tips and recommendations. firstly, once the potatoes are boiled in water, remove them immediately and place them on a plate. otherwise, it may absorb water and moisture and you would not be able to shape it properly. secondly, i have used breadcrumbs to coat the cutlet before deep frying them. alternatively, you can also use rava, oats powder and even toast powder for the same reason. lastly, these cutlets taste great when deep fried as it would evenly cook. 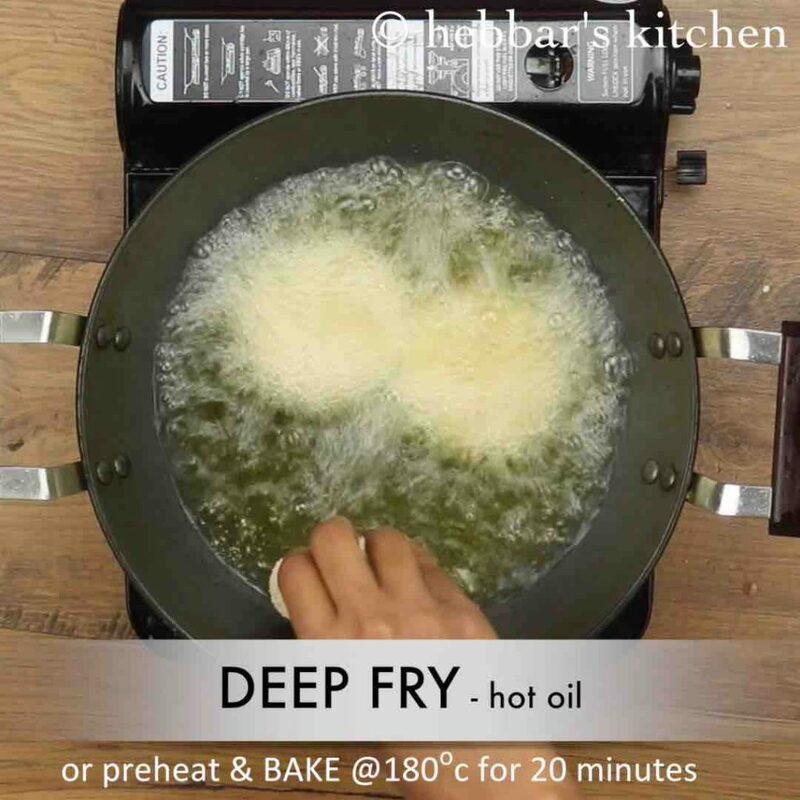 however, you can also opt for pan fry for less oil consumption and to make it healthy. 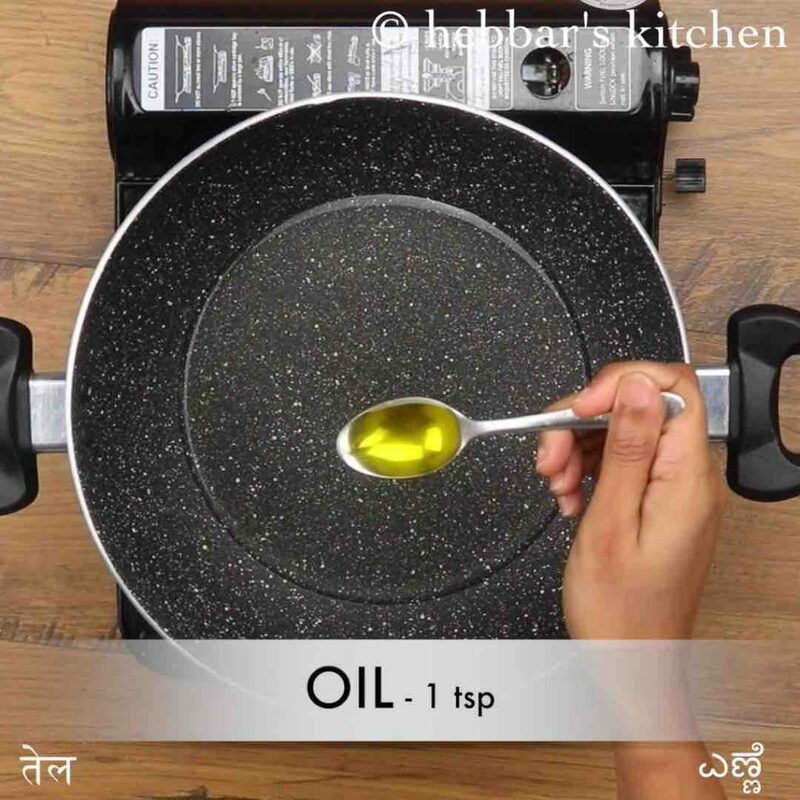 firstly, in a large kadai take ½ cup water, 1 tsp oil and ¼ tsp salt. stir and get to a boil. 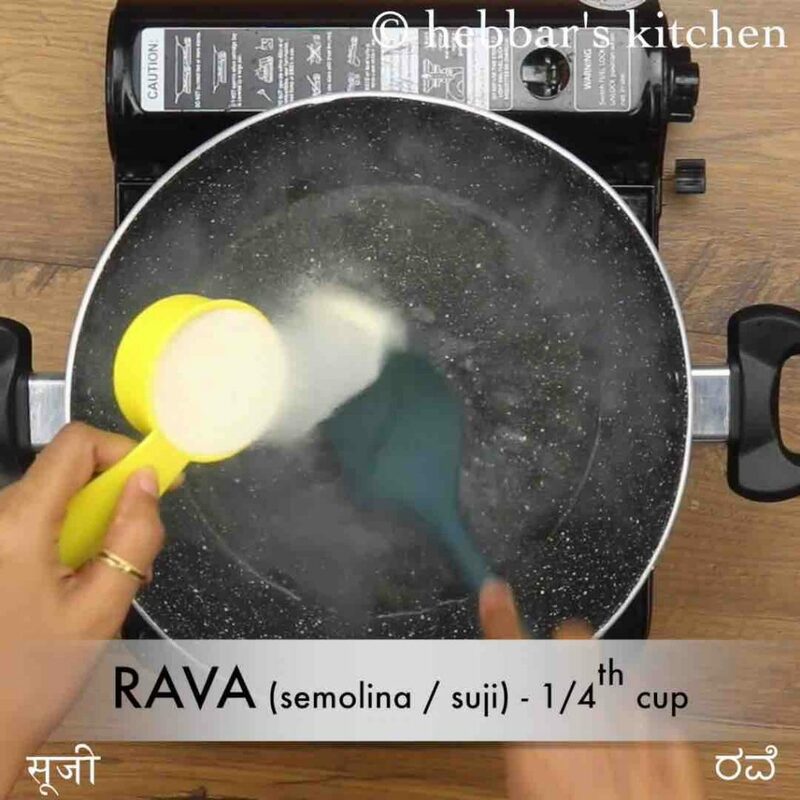 lower the flame and add ¼ cup rava stirring continuously. transfer the cooked suji into a large mixing bowl, and cool completely. now add 3 boiled & mashed potato. 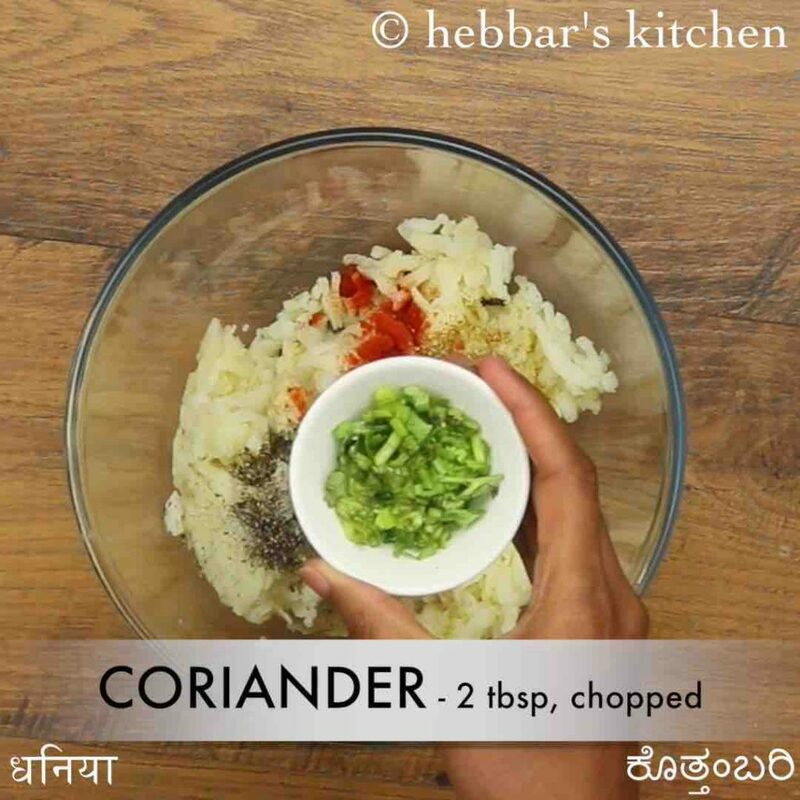 also add ½ tsp ginger garlic paste, ¼ tsp chilli powder, ½ tsp coriander powder, ¼ tsp cumin powder, ½ tsp chaat masala, ½ tsp pepper, 2 tbsp coriander and ¼ tsp salt. 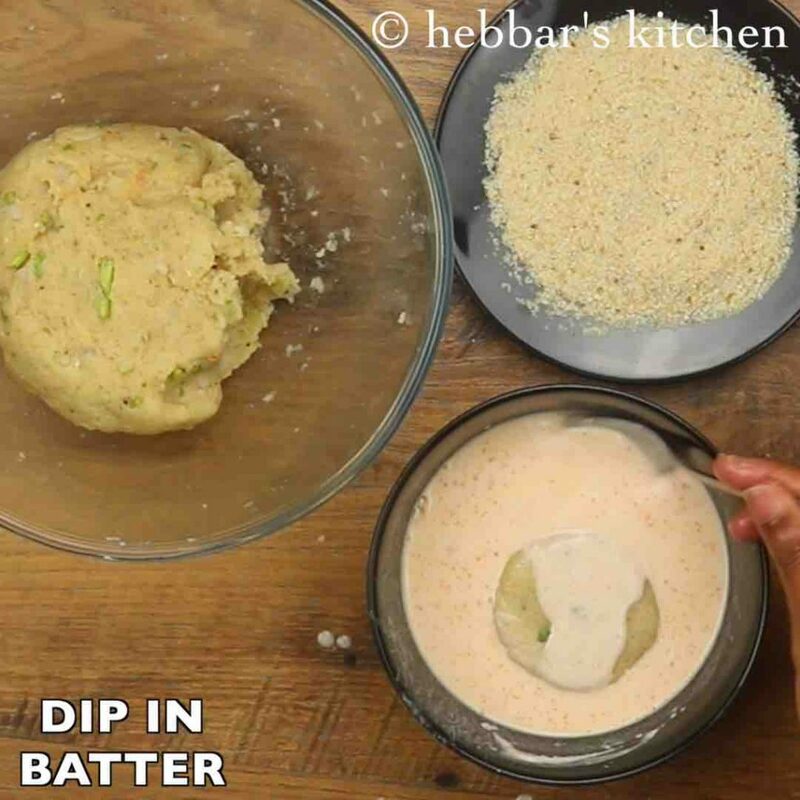 dip in corn flour batter covering both sides. 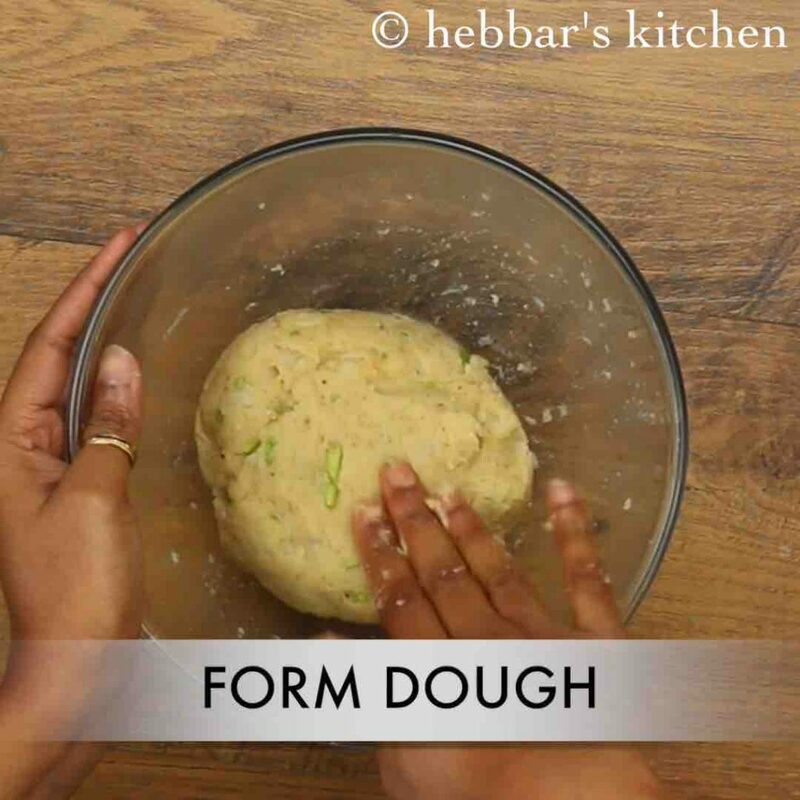 then roll in breadcrumbs on both the sides. deep fry, shallow fry or pan fry the patties in hot oil. finally, drain over kitchen paper to remove excess oil and serve aloo cutlet / aloo suji cutlet with tomato sauce. 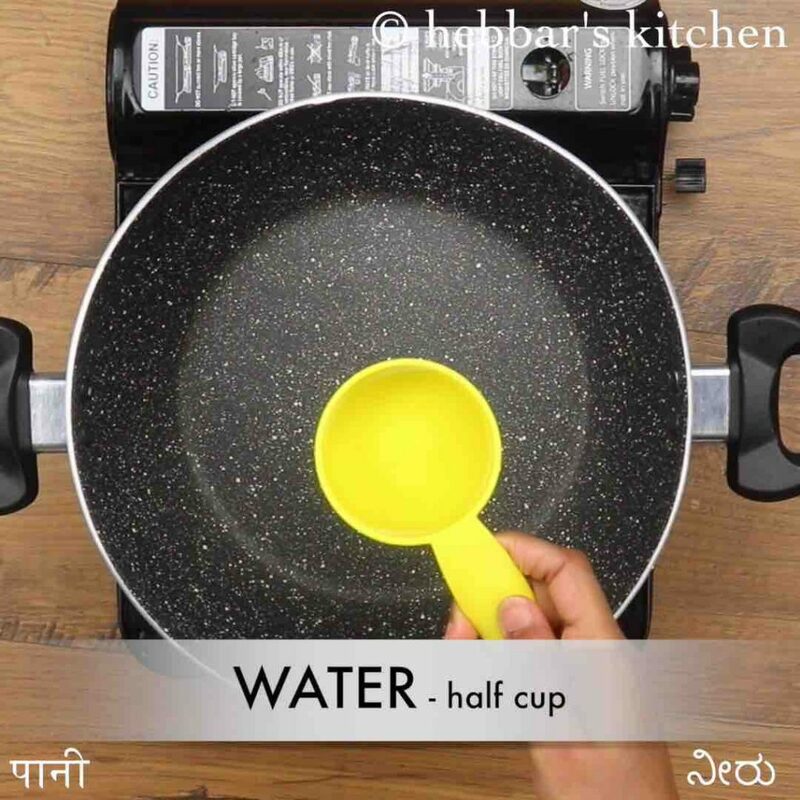 firstly, in a large kadai take ½ cup water. also, add 1 tsp oil and ¼ tsp salt. stir and get to a boil. once the water comes to a boil, lower the flame and add ¼ cup rava stirring continuously. 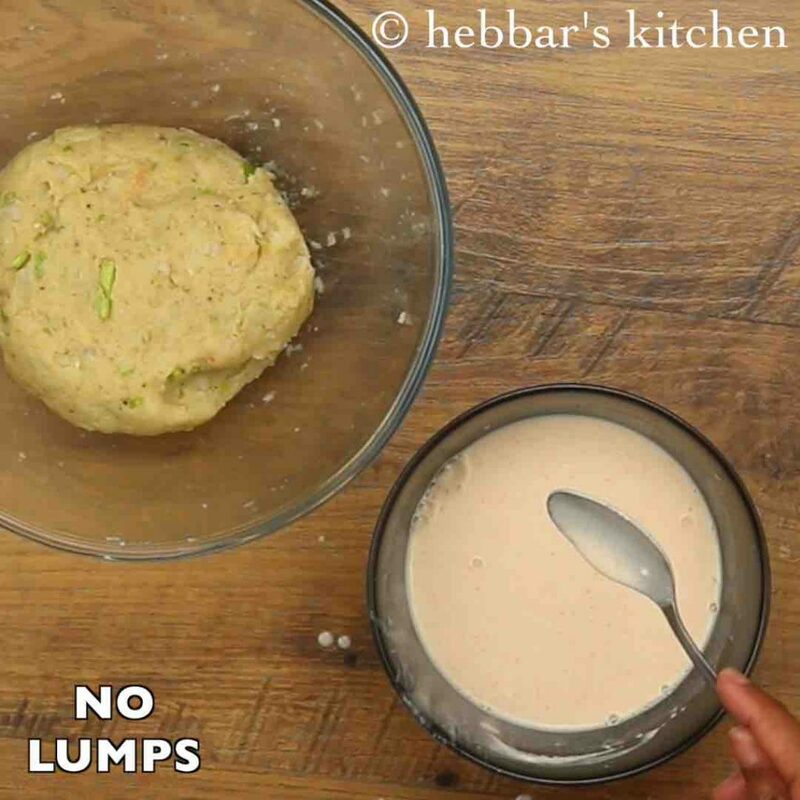 keep stirring till the water is absorbed completely and no lumps formed. 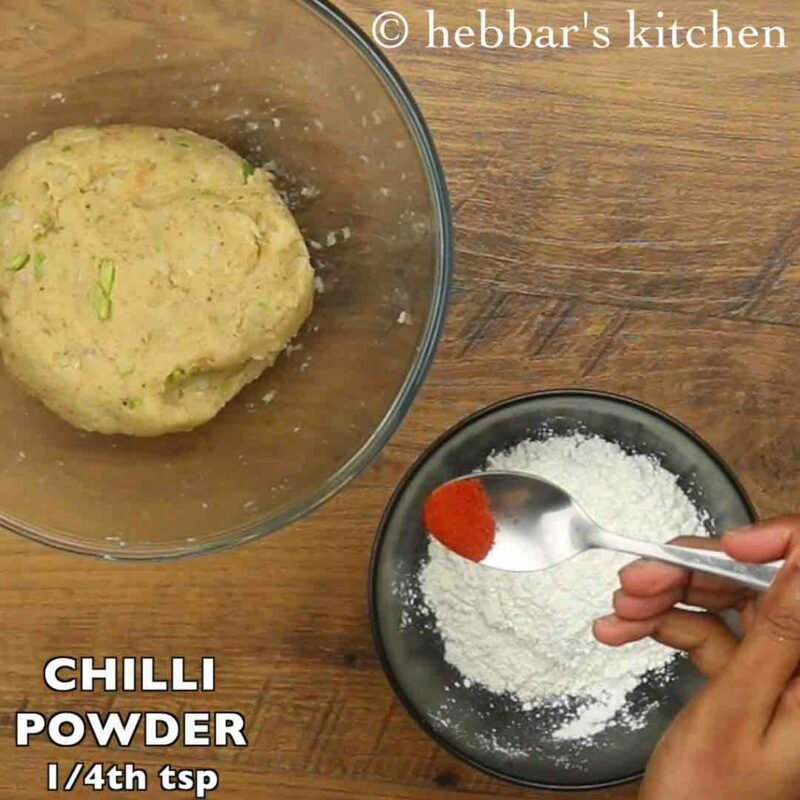 now prepare corn flour – maida slurry by taking 2 tbsp maida, 2 tbsp corn flour, ¼ tsp chilli powder, ¼ tsp salt. 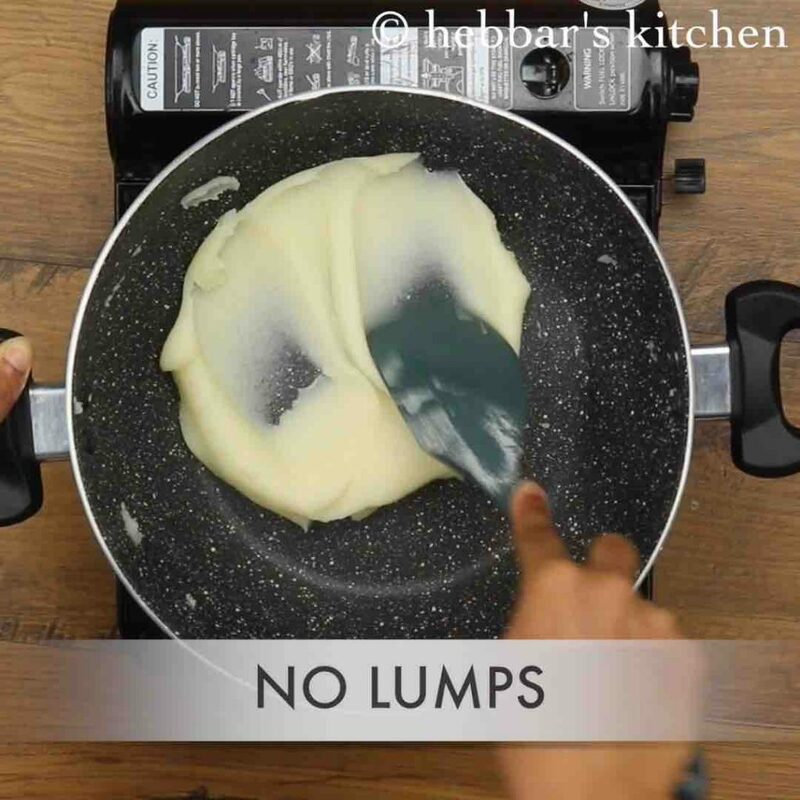 make smooth flowing consistency batter by taking ½ cup water. further prepare the patties from aloo suji dough. deep fry, shallow fry or pan fry the patties in hot oil. alternatively, preheat and bake at 180-degree celsius for 20 minutes. firstly, add vegetables of your choice like carrot, corn, onion and capsicum, to make more nutritious. additionally, fry on medium flame to get crispy golden cutlet. furthermore, adding suji is optional, you can replace suji with ¼ cup breadcrumbs directly into the mixture. 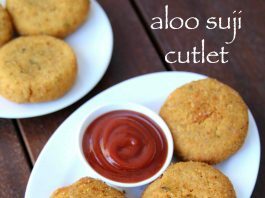 finally, aloo cutlet / aloo suji cutlet recipe tastes great when served hot.